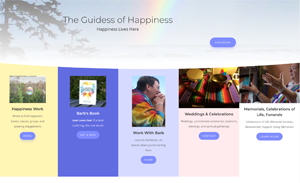 Happiness coach, counselor, celebrant, speaker, and author Barb Ryan wanted a new website that would showcase her skills under a unified theme. She wanted content from her old site updated and moved, the addition of an online calendar system, integration of Mailchimp email and social media, and a bright, welcoming updated look. Although site is still in the build out stage, the home page, calendar, and several supporting pages are live with reworked content. Built on Divi and maintained by Chicken Little Ink. 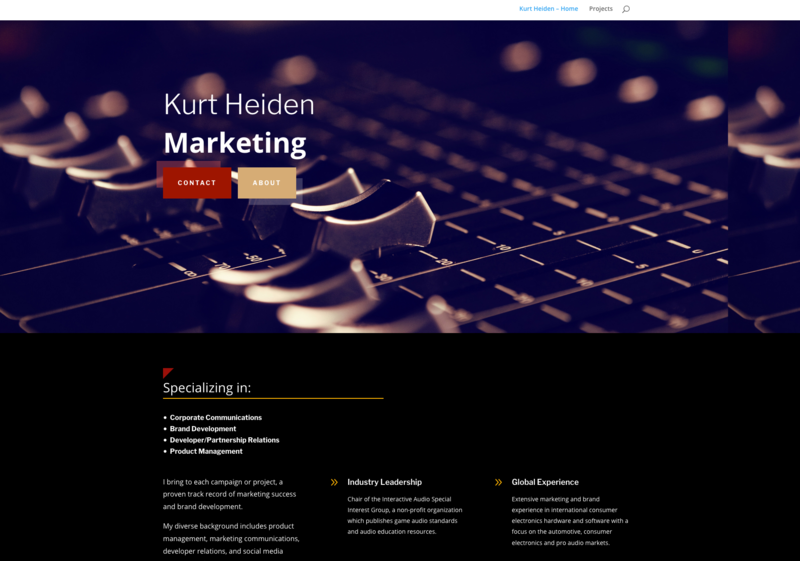 Audio professional Kurt Heiden wanted a fresh look for his personal site, highlighting some of the projects he’d worked on in recent years. He wanted to be able to maintain the site himself, and have a second site he could use for a test site. He also needed to move his site to a different host. 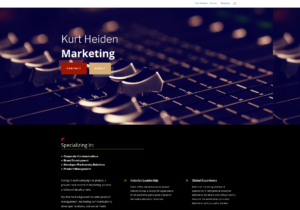 I used Elegant Themes’ Divi to create simple design with a sophisticated, industry-specific look. Built on Divi. Maintained by client. As a genealogy geek, I sometimes take pictures for FindAGrave.com. People searching for relatives request photos of gravesites and local residents take photos for them and upload them to Find-A-Grave. I was trying to fulfill a photo request but had a tough time finding my way around because the cemetery did not have a website or a way to find information online about who was buried there. I approached the Board of Directors and proposed building a site for them. They were delighted. 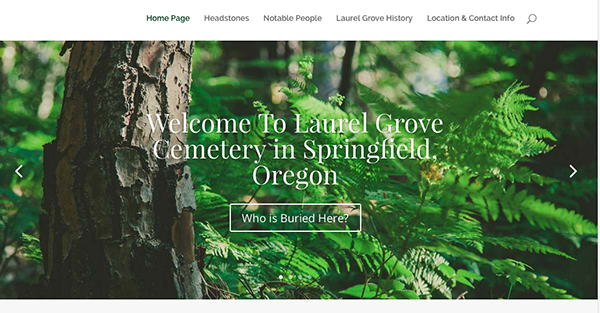 The first stage was to get a web presence and a domain name so that the cemetery had contact information up. I put up a one-page site on WordPress.com, with links to all information I could find about the cemetery. I then gathered more detailed information from Alice Morton, their historian. She had compiled an extensive database with information on 4200 persons buried there. A key part of the process was finding and configuring a plug-in that could import cemetery records for each person buried there. The cemetery is managed by a very small group of volunteers and getting their information into digital format will take some time, so this site is a work in progress. As this project unfolds, please check back here to see changes. 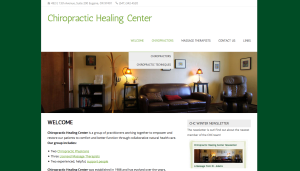 This project involved combining content from two sites for a busy chiropractic office, redesigning the site for an updated, fresh look, and moving from DreamWeaver to WordPress. It was important that the website show the warm and welcoming atmosphere of Laura’s practice, and using beautiful photography by Amy Picard, the site feels friendly and open. Easy navigation gives patients the info they need quickly, whether it’s registration forms, info about specific techniques, or an introduction to each practitioner. Built on NatureSpace theme, by Tomas Toman, with some customization. Lauren Bailey, Lauren C. Bailey, A.S.I. 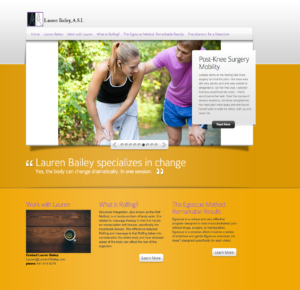 Lauren Bailey does results-oriented bodywork for people with structural alignment issues and injuries, specializing on post-surgery recovery. Her previous site had been under construction for a long time and was in Dreamweaver, making it impossible for her to do her own updates. She had a hosting package that was about to renew which she was unable to access. She also had a long list of domain names that were with various registrars and she wanted them organized and migrated as needed. The project entailed organizing all her domains, taking content from her old site, getting her some options for a new host and closing out the old. 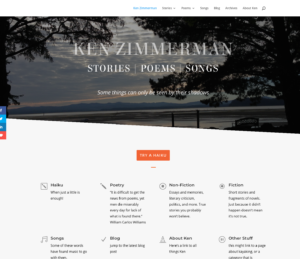 I migrated her domain to the new host, provided a fresh, new design with lots of graphics making her educational content easy to find,and walked her through the process of doing her own updates in WordPress. Built on Deep Focus by Elegant Themes. The original website had a purchased WordPress theme that was limited in the amount of customization options available. It also had a confined feel to it. 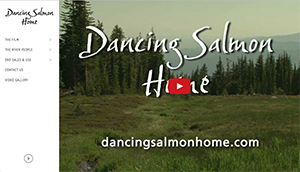 After working with the existing theme and making the content fit the constraints of the theme, it was clear that Will’s beautiful video footage and images would be better presented with a full-screen look. When I showed him some different design options with a focus on video and images, he agreed. Although the new theme, in this case, required rebuilding the site, the end result presents the message of the organization without the website itself getting in the way. Built on BigFormat theme by Themewich, with some customization. Do Mi needed some minor content updates and her site was built on Dreamweaver. She had some experience with WordPress and wanted to be able to update the site herself in the future. The project entailed removing the old site content, installing WordPress on her server, and uploading content. Built on Weaver Xtreme by Weaver Theme, with minimal customization. I served as Content Manager and Webmaster for seven years. During that time there were site redesigns in 2009, 2011, and a major redesign in 2013 for which I served as Project Manager. My role for the 2013 redesign was to work with the design firm so that they understood our needs, so that their design met those needs, and to keep the project on track. I provided all new content for the site, as the focus moved to a more open, visual aesthetic that would serve patrons, promoters, and city visitors. The 2011 redesign involved a change of hosting companies and a recreation of the old site with some styling updates. My role was to research hosting and design companies and to work with the firm we chose to update and move all content to the new platform.